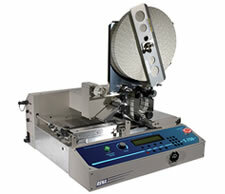 The Rena T-750 In-Line Tabber Machine can apply tabs or stamps at speeds over 20,000 per hour. It has the ability to double and triple tab. IT can run clear, translucent, or paper tabs all while running in-line with several of our inkjet address printers. The automatic speed integration of our EASYFeed Lite feeder option makes the Rena T-750 one affordable standalone tabber that outperforms all challengers. IT has our new intelligent system control software that is easier to use and offers exclusive features like Automatic Tab Positioning and Automatic Length Measuring.